This article introduces the different features available in your Hiboutik account to manage a fast food business. If your propose a table service, the restaurant sale interface should be recommended: restaurant POS software. You can take orders in the “Sales” tab of your account. To create a new order, click on the “new sale” button in the top right corner. You can manage several sales at the same time. All open sales are stored in the “parked sales” section. When you open a sale, your sale interface is divided into two sections, with your products on the left, and the details of the current order on the right. In Products/Product settings/Categories, you can create the different categories and sub-categories in which your products will be classified. With categories you can better find your products on your sale interface and track sales by group of items. In the “Products” tab, click on the “Create a product” button to create your first products. You must at least enter a name, a selling price and assign a category and a sales tax to your product. You can also upload a picture in the “Image” section of your product form. If you propose happy hour prices, you can enter a discount price in your product form. This price will be applied in sales during thre time period setup in Settings/Happy-Hour. 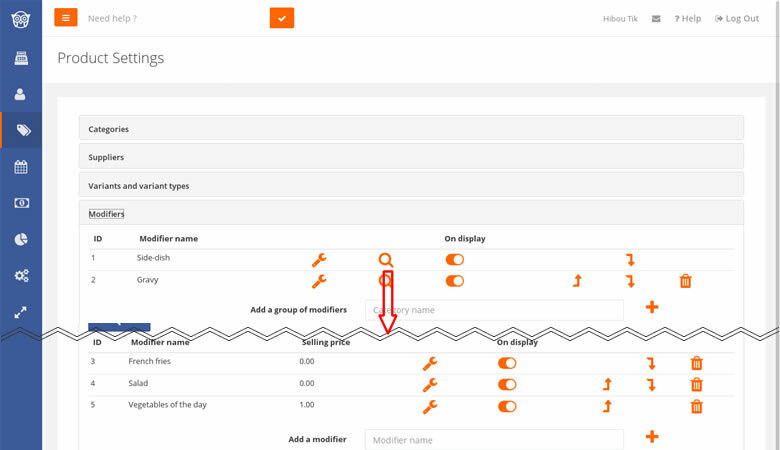 In Hiboutik, you can manage products with modifiers (ex: toppings, ingredients, extras…). Go to Products/Product settings/Modifiers, and create your modifiers groups (ex: gravies) and the different options (ex: blue cheese, pepper,…). You can link each modifier to a price that will alter the final price of the product (ex: double cheese at +2). In each product form (in the “Product modifiers” section) you can assign modifier groups, in order to display on your sale interface, only the modifers relevant for your product. When you add your product to a sale, select it in the ticket to add some modifiers. Composite products like a burger menu (burger + side-dish + drink) can be managed with Bundle products. The settings of a menu is explained in details in the following article: choice menus for restaurants. In you Hiboutik account, you can manage several kitchen printers. You can set a different preparation printer for each of your products, and decide for example to fire in kitchen only hot dishes. You can also enable a kitchen display system in your Hiboutik account. It simplifies the kitchen process and create interactions between you wait staff and your kitchen team. To retain your customers, you can create a loyalty program in your Hiboutik account. Ex: 1 free menu for 10 purchased. Your customer gained points in his loyalty account for each product purchased. He can then redeem his points for free products or special discounts. Your loyalty program is paperless, and you can display the loyalty balance on each receipt. If you don’t accept to refund overpayments (on restaurant tickets for example), you can issue credit in counterpart. Your customers can credit an account to make purchases in the future. You can also accept on-account sales and keep track of outstanding amounts. Takewaway orders can be subjected to a lower sales tax. In Hiboutik you can switch in one click between the standard sales tax and the lower one. 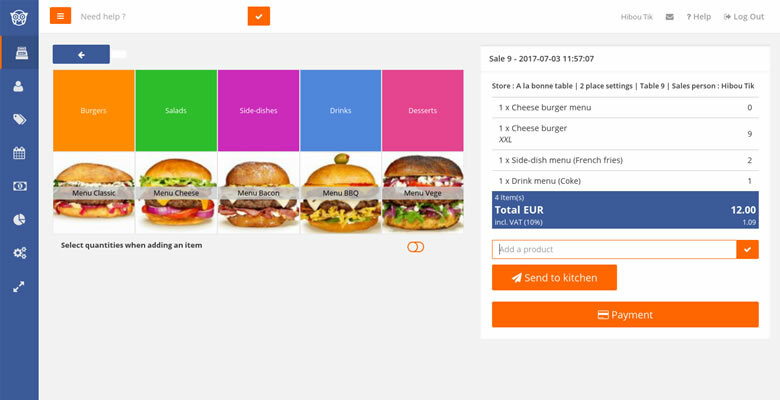 Hiboutik is a complete ans easy to use POS solution to manage your fast food business. You can display only the features you will use and customize your account to what you need (Settings/Users/Access management). We can propose a service to configure your fast-food menu on your account – please contact our customer support service. 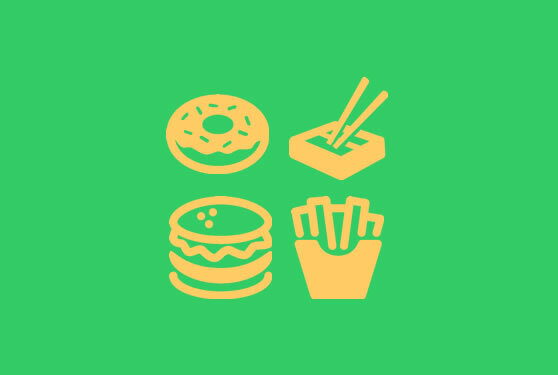 This entry was posted in ACTIVITIES and tagged fast food, snack bar, restaurant POS.